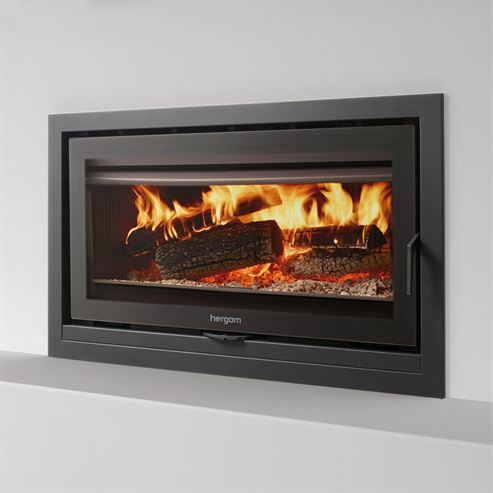 This huge 1000mm wide glass window inset stove gives a wonderful panoramic fire view. 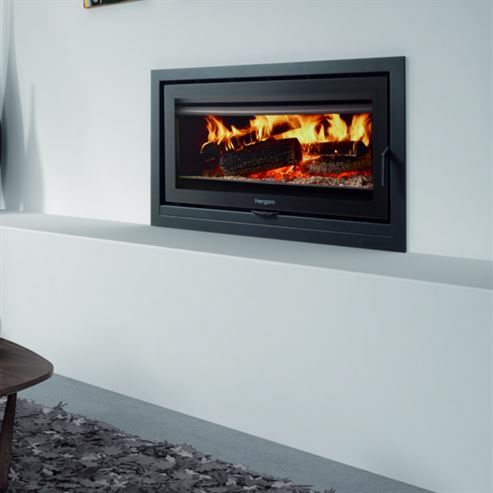 The Sere 100 is perfect for heating large areas and for open plan living. Plus with all of the options available to you, you can choose the stove that's right for you. There are 3 frame types for this model, 4 sided, 3 sided and frameless, as well as the choice of fans or natural convection and cast iron or vermiculite internals.